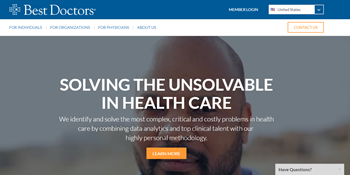 Teladoc will acquire Best Doctors, a global company that provides virtual medical consult services to employers and payers, for $375 million in cash and $65 million in common stock. From Ex-McK: “Re: McKesson’s ranking. The Fortune 500 issue was not too kind to the Pharma division of McK and it’s difficult to fathom how John Hammergren can bring in an average of $60M+ per year over the last 10 years. 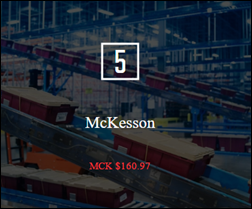 As one of those who was ‘released’ from my employment I find it galling, but that’s probably just me.” Fortune’s annual list puts McKesson at number five, just ahead of UnitedHealth and CVS Health. I didn’t care to dig any deeper into the list given its obnoxious interface and floating auto-play ads that took too long to recognize my many attempts to stop them. 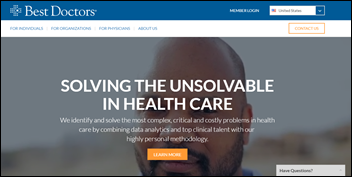 LTC EHR vendor MatrixCare acquires competitor SigmaCare for an undisclosed amount. The SSI Group expands its reseller agreement with Cerner, offering its RCM services to Cerner Millenium end users. Robin Hackney (Greenway Health) joins Ingenious Med as CMO. After just one year on the job, Memorial Hermann Health System (TX) CEO Benjamin Chu, MD resigns without providing a reason beyond his desire to pursue his “passion in health and public policy.” Charles Stokes, EVP and COO, has been named interim CEO. Ability Network hires Jamison Rice (BCBSMN) as EVP and CFO. 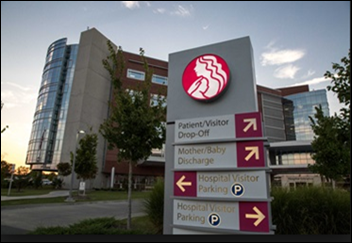 Woman’s Hospital (LA) deploys electronic patient signature and eForms technology from Access. HIE operator Vermont Information Technology Leaders implements Wolters Kluwer’s Health Language Enterprise Terminology Management solution. 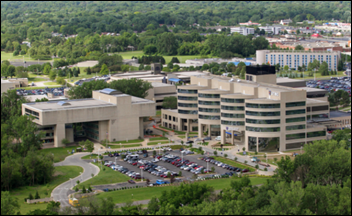 University of Toledo Medical Center’s multispecialty physician group (OH) rolls out PatientKeeper’s Charge Capture technology to streamline billing at UTMC and affiliated SNFs. Health Catalyst develops new technology to help providers better understand costs of care as they relate to patient outcomes. Apple is reportedly working with digital health startup Health Gorilla in its efforts to turn the iPhone into a personal health data storage device. CNBC reports they are working to add integration points that will allow iOS to import results from hospitals and lab-testing companies like Quest Diagnostic and LabCorp. Payment technology vendor Patientco announces enhanced integration with Epic. Modernizing Medicine adds electronic prior authorization capabilities from CoverMyMeds to its EMA specialty-focused EHR. SCI Solutions adds new scheduling and worklist management features for multi-location providers to its Schedule Maximizer software. Recondo Technology adds payment collection capabilities from HealthPay24 to its RCM offering. 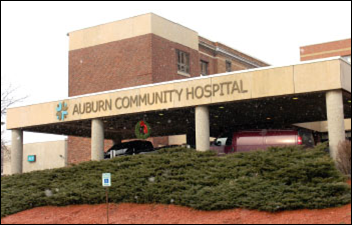 Auburn Community Hospital (NY) selects analytics and 340B drug discount program solutions from Sentry Data Systems. 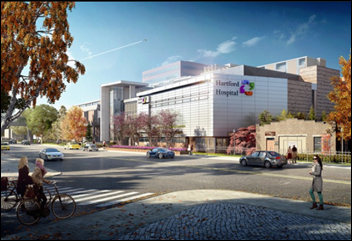 Hartford HealthCare (CT) will implement Stanson Health’s analytics and clinical decision support software. Citing last year’s ransomware attack on MedStar (MD), the Wall Street Journal reports that some hospital executives avoid reporting ransomware breaches because HHS rules say hospitals only need to report attacks that result in exposure of medical or financial information, while ransomware attacks encrypt the information, but don’t necessarily expose it. Torrance Memorial Medical Center (CA) notifies patients of an April email breach that may have exposed personal information. Hospital officials have hired a third-party forensics firm to assess the scope and impact of the phishing attack. Daniel Devereux, a homeless computer hacker in the UK known as His Royal Gingerness, is jailed for his 2015 attacks on the Norfolk and Norwich University Hospital and Norwich International Airport. Thanks to a proactive encryption strategy, Waverly Health Center (IA) experiences little to no disturbance from a June ransomware attack. 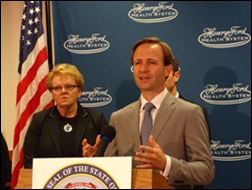 Michigan Lt. State Governor Brian Calley with Henry Ford Health System and Appriss Health representatives to announce $2.1 million in funding to connect the Michigan Automated Prescription System with provider EHRs across the state. Calley hopes the integration, which will be aided by Appriss technology, will increase physician use of the PDMP from 28 to 80 percent. The Office of the Chief Actuary of CMS forecasts a 13 million reduction in insured patients by 2026 if AHCA is passed, 10 million less than the CBO’s prediction. Reuters reports Senate Republicans will unveil their version of the bill on Thursday. 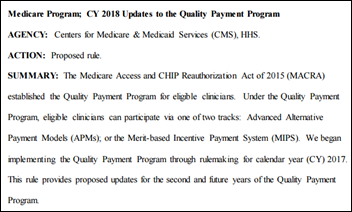 CMS releases the 2018 Quality Payment Program Proposed Rule. Health IT-related highlights of the 26-page summary include continuing to allow providers to use 2014 certified EHRs, and offering bonus points for using 2015 technology exclusively. A West survey on patient experience finds that shorter wait times, upfront pricing, more communication options, and not feeling rushed during appointments are key to their satisfaction with providers. Nearly 80 percent claim they won’t hesitate to fire doctors that don’t meet their expectations. Australia makes genome sequencing available to patients for $6,000 through Genome One and the Garvan Institute in Sydney. Should demand increase, the Australian Genomic Healthcare Alliance may look for a way to fund testing through the country’s Medicare program. Babies in China, on the other hand, can have their genome sequenced for the bargain price of $1,500. Earlier this month, Boston-based DNA sequencing company Veritas Genetics – a spinoff of Harvard’s Personal Genome Project – launched full genome sequencing via MyBabyGenome. Its sequencing report addresses 950 inherited diseases, 200 genes connected to drug reactions, and 100 physical traits the child is likely to have. CoverMyMeds will sponsor Startup Weekend Columbus – Maker Edition June 23-25 in Ohio. The Cleveland Plain Dealer and WorkplaceDynamics include Direct Consulting Associates in its list of Top Workplaces for 2017. Diameter Health supports the Juvenile Diabetes Research Foundation Promise Ball Gala. ECG Management Consultants will exhibit at the National Bundled Payment Summit June 26-28 in Arlington, VA.
EClinicalWorks, Hayes Management Consultants, Imprivata, and Kyruus will exhibit at the HFMA ANI conference June 25-28 in Orlando. The Healthgrades award-winning internship program cultivates new talent to achieve excellence. InterSystems will exhibit at the International Healthcare Summit June 26-27 in Kelowna, BC. Mez Pharma Group selects the Liaison Technologies Alloy Platform for Healthcare.